Wednesday, April 4, 2018, the City of Bonham Tourism Committee hosted the Red River Valley Tourism Association at the Fannin County Historical Commission office in the depot building. The Red River Valley Tourism Association is composed of cities along the Red River from New Boston on the east to Childress on the west. Attending the meeting were members from Nocona, two from Paris, Detroit, two from Clarksville, Denison, Burkburnett, and as well as members from Oklahoma, two from Duncan, and one from Broken Bow. Red River Valley Tourism is the only tourism association in the U.S. that has members from two states. Because of this relationship, RRVTA is able to place brochures in the state travel information centers in both Texas and Oklahoma and in both state’s travel shows. The information that was discussed at the meeting included: Discussion of whether or not to purchase pop-up booth displays for travel shows. Report on website development and what was needed from each city. Discussion of the 2018 Hwy. 82/287 Yard Sale, the first weekend in June. Stroll and Roll event in September. Wrap-up discussion of the travel show in Wichita Falls and discussion of cities to be in charge of taking Red River Valley Tourism Association brochure/maps to the Texas State Travel Information Centers in May during Texas recognition of tourism month. Saturday, February 24 Black History will celebrate the achievements of Black Athletes from Fannin County. The last Saturday of February Black History supporters will gather in the Bailey Inglish cafeteria to hear from a panel of black athletics. The event starts at 2:00 pm. 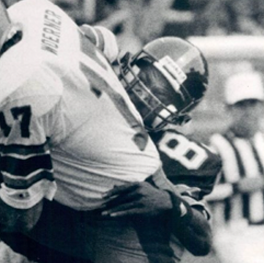 In Texas, athletics are a rallying point for communities. Fannin County has been blessed with many very talented young black athletics. Confirmed at this time for a panel of athletes are: Michelle Johnson Williams, Lonell Phea, and Lonnie Bennett. Others will be added later. If you are a fan of Fannin County sports you will not want to miss an opportunity to remember the stories of these great athletics and to bring the young athletes of today to hear and see them. So, make plans to join us at this Black History Celebration on February 24 at 2 pm. Each of the ten locations that will be hosting the Quilt Hop are working hard to come up with the best of the best for you to enjoy. They have three weeks until the Hop on Friday, July 29th and Saturday, July 30th. 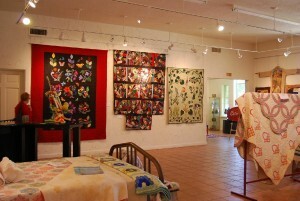 The Creative Arts Center will be featuring quilts made by the very talented Leo Ransom. Leo designs and constructs his quilts to be portraits of famous people that have a special meaning to him. His use of different shades of material cut and pieced to achieve the effect that he is looking for makes the finished product very unique. When you walk into the exhibit you will immediately recognize the faces of these very famous people. Leo’s demonstration of his method of creating these wonderful quilts was the most popular of the demonstrations that were presented last year. So you will not want to miss the opportunity to enjoy this Bonham man’s talent. 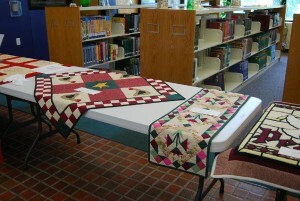 The Bonham Public Library will be showing baby quilts. What could be more special than a quilt made for a child, grandchild or a gift for a wonderful friend’s new baby? Come and enjoy the different ways people chose to celebrate that very special child. 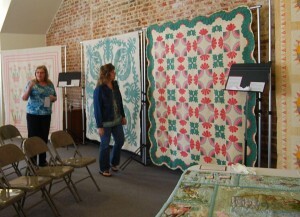 The Fannin County Museum of History will have a display of Redwork quilts. Redwork is a form of embroidery that uses red floss to trace simple line drawings. Traditionally, the maker used animal themes, children’s themes and kitchen themes to embroider a muslin square that was then incorporated into a quilt. Redwork can be done in other colors, usually green or blue. It is accentually embroidery squares done in one color. This became popular during the Victorian era as women looked for new ways to decorate their homes. Redwork was also used to embellish tea towels, aprons and pillow covers. 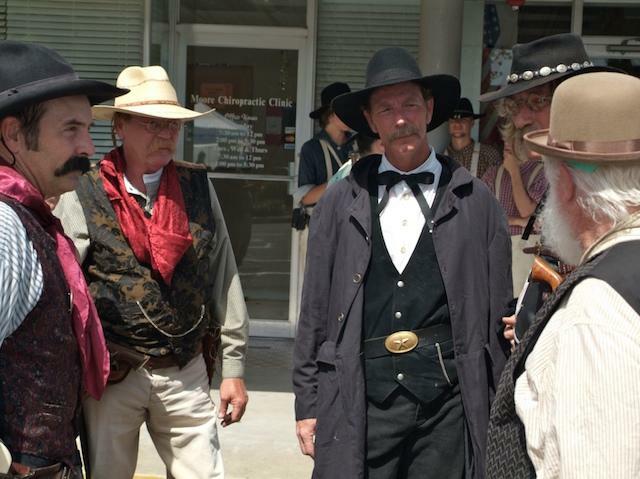 The Quilt Hop will begin on Friday, July 29th at 1:00 pm and close at 4:30 pm. A reception will be held at the Sam Rayburn Library from 5:00 pm. to 7:00 pm. 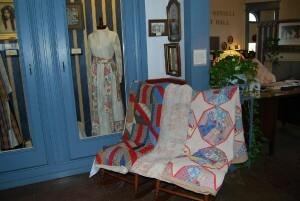 The Sam Rayburn Library and Museum will feature quilts from the Winedale Quilt Collection. The Hop continues Saturday, July 30 from 9:00 am. to 4:00pm. Join us as we hop to all ten locations.